To carry out research for sustainable development at all levels, locally and globally, so that an ecologically and economically viable and socially just society may develop – this is the objective of Wuppertal Institute. In this way, politics, economy, science and society are enabled to transform existing structures and adapt them to become more sustainable. Years of experience, high practical relevance, diverse international networks and transdisciplinary approaches are what makes it stand out. Wuppertal Institute (WI), a non-profit institute founded in 1991, undertakes research and develops models, strategies and instruments for transitions to a sustainable development at local, national and international level. The institute’s sustainability research focuses on resources, climate and energy-related challenges as well as their relation to economy, politics and society. Special emphasis is put on analysing and stimulating social and technological innovations that decouple economic growth and wealth from the use of natural resources. Wuppertal Institute considers itself an intermediary between science, economy and politics. Therefore, its sustainability research design is application-oriented. The institute takes an interdisciplinary approach in its work, employing experts from a broad range of fields including natural and environmental sciences, geography, systems sciences, engineering, law, economics, and political and social science. This allows researchers to develop unconventional and innovative approaches to tackle challenges the world is facing today. The institute’s work is organised in four principle research groups: Future Energy and Industry Systems; Energy, Transport and Climate Policy; Sustainable Production and Consumption; and Circular Economy. The scientists from different research groups also join forces to investigate particular transdisciplinary subjects. WI collaborates with several universities and institutes in Germany and abroad, among others the University of Tsinghua, Department of Environmental Science and Engineering, China; Institute for Global Environmental Strategies (IGES), Japan; and The Energy and Resources Institute (TERI), India. 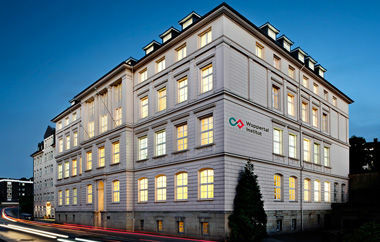 The University of Wuppertal and WI jointly operate the research centre TransZent. The institute is also a member of the Johannes Rau Research Association and the Ecological Research Network (Ecornet).